Finally, the development of innovation clusters is very important. Many people talk about this concept; it’s quite a hot topic in Russia. 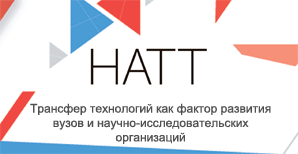 Innovation clusters are in fact the key to developing an innovation economy in Russia. It’s that simple. The new law 217 has enabled Russian universities to become the nuclei of such prospective clusters – in the same vein as in the U.S. universities provide the core of clusters there. A review of any successful innovation cluster in the United States, such as Silicon Valley, Silicon Alley or Silicon Hills (Austin), reveals there is an open creative environment in each. In order for Russia to create the same type of creative environment, it must allow people to believe they can become millionaires. In the U.S., a typical innovation cluster is a university surrounded by laboratories, techno-parks, business schools, business angel clubs, banks, VC and PE funds. The entire system is open. The entire system is geared towards encouraging collaboration. This is the fundamental concept. If Northwestern University is developing a new drug to fight cancer or Alzheimer’s disease, it will be working in collaboration with other laboratories around the world to solve the problem. As a solution is near, a corporation is formed. Who are the owners of the corporation? The owners are the innovators, the lab, Northwestern University and its professors. The corporation is not 100% owned by one person. It is a shared ownership of the people working on the project. Of course, the initiator of the project has more shares; others may have less but they have a direct ownership. Each owner can attract investment in the company or in the technology. Eventually, they may either establish a company to produce product, or they may license the intellectual property for products, or they may sell the technology outright. An innovation cluster is designed to solve a specific problem. Silicon Valley is a great example. It began during World War II when the U.S. government set up a number of large corporations to focus upon defense and production for the war efforts. Consequently, a number of prominent companies arose. After the War, the government encouraged these companies to develop ‘Chinese walls’ between their civilian work and their defense work financed by R&D money from the government at such companies as Boeing, McDonald Douglas and Northrop Grumman. Each of those companies had a defense arm working on government contracts. At the same time the firms were given the right (and encouraged) to use this defense technology on the commercialization side to make better refrigerators, microwaves, drugs, etc. The companies could sell these products throughout the world. The commercial side of the business thus helped lower the expense of R&D and ultimately lower the cost of government subsidy to the defense side of the business. It is an absolute natural program. In Russia, such a program does not exist. In Russia, government companies work on defense, and private companies that are completely separate from the government work on commercial projects. This is not the most efficient way to run the system. Russian industrial leaders should examine how the Japanese or American or EU systems work and how corporations receive R&D dollars from the government and subsidize development of new technologies, and then identify different uses for the technology both for the defense side and the commercialization side. Silicon Valley developed exactly in this way. As the companies grew, the founders began working less and less in the companies on a daily basis. With significant business knowledge and experience, they became business angel investors and started investing in other new companies. As examples, Bill Gates, Steven Jobs and many other corporate founders now invest in many different companies. Both corporations and individuals subsequently have invested in dozens of new start-up companies. There are legendary VC investors such as Pitch Johnson or Guy Kawasaki or other Silicon Valley investors who passed their knowledge to dozens of new companies over many years. This process is the foundation for an innovation cluster. The process acts as a magnet to attract the best and brightest people in the field to come there, live there, study there, work there and establish new companies there. Silicon Valley became known for its Information Technology (IT). Another cluster, Silicon Alley, a corridor surrounding MIT, Harvard and other universities in the Boston-Massachusetts area, knew it was behind Silicon Valley in IT, so it chose to make biotechnology the focus of the cluster. Many biotech firms emerged from Silicon Alley. Chicago understood that it was not the leader in IT or biotech, so there was a fundamental effort by its leaders more than twenty years ago to focus upon creating an innovation cluster for nanotechnology. Chicago persuaded the federal government to sponsor and finance the nanotechnology fabrication center in Evanston, Illinois, within the territory of Northwestern University. A major $200m facility focused on nanotech was initiated in Chicago at the request of regional business and political leaders. Over the last 20 years, Evanston, Northwestern University, the University of Chicago and others created an innovation cluster. Now, surrounding this geographical region are investors, techno- parks, research centers, laboratories, business schools and so on. This is a very good example of how a region determined to develop itself. But you also have areas in Utah; you have Detroit, Michigan. There are now clusters developing all over the world, based on this model. Basically, South Korea is developing a massive innovation cluster focusing on hi-tech, innovation, technology, logistics, transport and infrastructure. There’s one in Singapore; you have many areas developing on the Chinese coast. You now have massive effort on the part on MIT to work in Latin America to develop in a wide range of Latin American cities innovation clusters that are going to feed new innovations and products into the American market, for example. Not everybody knows about all these things and they are not highly publicized as Silicon Valley but there’s general understanding that this is absolutely obligatory to create an open culture, an open eco-system where innovators meet with academicians, teachers, business students, investors. They have necessary platforms to do so, from cafes and campuses and restaurants to state-of-the-art labs. On top of those are business incubators, business accelerators, technology transfer centers, proof-of-concept centers, all the way to techno-parks. The key idea is to build infrastructure that facilitates all these various people’s meeting in an open way, exchanging ideas, and to link innovation clusters between themselves. Collaboration is the key thing. Each innovation cluster should define exactly what its most important, historically proven strengths are. That may be defined by the local political elite, by the local universities, or by the local business community. In any case, it should be then aggressively promoted through PR. When I talk about innovation clusters that’s what I’m talking about. In order for Russia to develop its own network of innovation clusters it’s important to understand these principles. Nobody is telling Russia that it has to follow some particular model, but this is a model that the entire rest of the planet has adapted, and I would encourage Russia to at least consider adapting it. Russia’s not sitting on the fence. 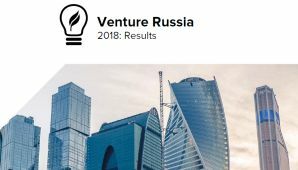 It is getting pro-active, and the world is watching the progress of what President Medvedev announced earlier this year as ‘Russia’s Silicon Valley,’ a government priority. A $2-3.5bn innovation cluster is expected in Skolkovo just outside Moscow. Of course, the president’s wish to develop a highly prominent innovation cluster next to the Kremlin is quite understandable. The key thing is not to create a closed society in Skolkovo. This would be the greatest mistake imaginable. The advantage of Silicon Valley is that all sorts of different aspects of the society co-mingle together. Wealthy individuals with millions of dollars may sit side by side with college students drinking coffee in a Starbucks. That makes Silicon Valley such an open system. If the Skolkovo innovation cluster is closed and requires a restrictive entry regime, then it won’t develop results. It should encourage open integration; people should come and go there very freely. Of course, only certain people will open their companies there; of course, only certain people will have to be qualified to buy houses and live there. Companies will have to compete and fulfill certain criteria to open up in that particular place. That’s understandable. But at the same time there should be very strong logistics infrastructure and transport to allow free movement of people back and forth, and there should be attractions to attract people to go there: some specific shopping centers, restaurants, cultural centers. I feel, in the 21st century the concept of design is going to be what differentiates simply low-cost mass production vs. high value-added, high margins in science and innovation. It’s the designer products, how you feel about the products. What’s the difference between a typical PC and an iPad? Why is iPad selling one new computer every two seconds since its launch? There’s a reason for that: it’s design, emotion. And this has created the most valuable company in the tech world, Apple Corporation. I think it would be very intelligent for Skolkovo to incorporate a very open design environment and cultural center that would attract many visitors. They might not live there, but they may create there freely. It’s very important to use Skolkovo as an example for the rest of the country to follow. It would be absolutely essential to link in Skolkovo together with other innovation clusters around the country. The key to making Russia an innovation economy is to encourage collaboration and integration between these innovation clusters. I strongly believe Russia needs to create that. For cluster areas I obviously view Tomsk, Novosibirsk, Kazan, Ekaterinburg, Samara, and, of course, Nizhny Novgorod, a prime target to make one of the top innovation clusters in the country. With its oil industry in Nizhny, the Lukoil refinery in Kstovo, with the submarine factory, the aircraft factory, with the chemical processing of Dzerzhinsk, wood processing in Pavlovo, pipe and metal manufacturing in Vyksa, the Nizhny region has a huge industrial base. And in order for this industrial base to develop, at the center of Nizhny Novgorod should be an innovation cluster, which feeds new innovation solutions to those industries. Russian industry needs to invest in itself; this is my main message. In the U.S. or EU, commercial investment in R&D is significant, up to 30% of revenue in the telecom sector for instance. Companies globally reinvest continuously in R&D and themselves. In Russia, the amount of reinvestment in R&D is less than 1% of Gross Domestic Product (GDP)! Statistically, Russian companies are not investing in themselves. However, the government is now encouraging industrial owners who were able to take over their companies through privatization to start investing in their assets. I believe by the end of 2010, Russia may join the World Trade Organization (WTO). If the Jackson-Vanik amendment is finally lifted and the U.S. pushes for Russia’s accession, this will create a new wave of competition from global companies that want to come and work and compete in Russia. Russian companies must be prepared to compete. If the company is a monopoly, there is not much motivation for it to invest in itself, but if it faces competition, there will be no other choice. This is a fundamental change that is occurring in Russia. Those companies investing in themselves are going to win the market and outstrip foreign competitors. Each region in Russia should understand its competitive strength and weaknesses and create its own strategy; this is a key point. The region should begin feeding innovation to its own industrial base. If Russia chooses to do this, it can be a leader in the 21st century, a leader in solving global problems. Prosperity will be brought to the Russian people.